We continued our series on the titles of Jesus, “Name Above All Names,” this past weekend at Eastbrook Church by exploring Jesus as the Son of Man. While it is one of the most misunderstood and forgotten titles of Jesus, it has a special place in the way that Jesus understood Himself. In fact, “Son of Man” is the one title that Jesus used more often than any other name when He talked about Himself. Extending into the prophetic and apocalyptic traditions of the Hebrew people, join me this week in exploring Jesus as the Son of Man. 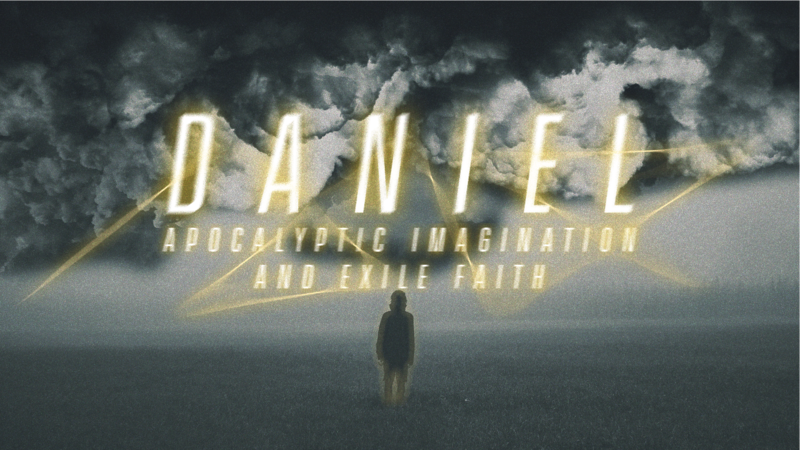 This past weekend at Eastbrook Church, I continued our series on the book of Daniel by turning our attention to chapter 7, which begins the markedly different second half of the book. Chapters 1-6 are court narratives, while chapters 7-12 are apocalyptic visions. This first vision serves as a sort of parallel to Daniel 2 and overview of where the rest of the book is going. The Apostles Creed makes important reference to the ascension of Jesus with these words: “[He] ascended into heaven and sits at the right hand of God the Father Almighty.” Jesus is enthroned as King in His ascension. When Jesus ascends from earth, the disciples witness of Jesus taken into the heavenly realm where God dwells: “he left them and was taken up into heaven” (Luke 24:51). Stephen’s vision of the heavenly realm before his martyrdom expands this even further: “I see heaven open and the Son of Man standing at the right hand of God” (Acts 7:56). Jesus often referenced this passage in relation to Himself. With the ascension we see that Jesus not only enters heaven, the place where God lives and operates, but receives His appropriate enthronement at the right hand of God in an unshakable kingdom. “To the one who is victorious, I will give the right to sit with me on my throne, just as I was victorious and sat down with my Father on his throne” (Revelation 3:21). “To him who sits on the throne and to the Lamb be praise and honor and glory and power, for ever and ever!” (Revelation 5:13). The ascension of Jesus reminds us not only that God’s kingdom been inaugurated with the incarnation of Jesus, but that His throne is established at the Father’s right hand until He returns at the consummation of his kingdom at the new heaven and new earth. We know even now that Jesus reigns as King, no matter what happens around us.